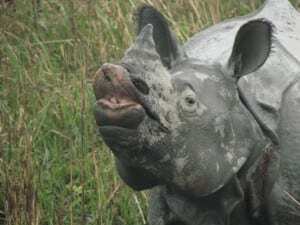 Today is world rhino day everyone- wahooooo!!!! What does that mean?! It’s a day dedicated to celebrating our five species of rhinoceros! 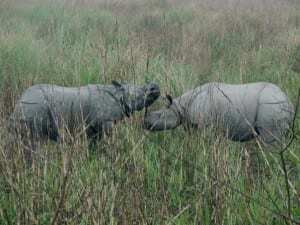 There are two species in Africa; the white rhino and the black rhino (though both confusingly only come in grey) and three in Asia; the Sumatran rhino (from Sumatra), the Javan rhino (from Java) and the Indian one horned rhino (from Brazil.) Just kidding. 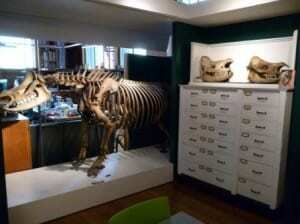 All rhinos are uber cool, though my favourite is the Sumatran rhino. It is the smallest of the five but it sports an awesome hairy coat. Not like a lion, or a wolf, more like a middle aged man who’s got a one way ticket to bald-land. The hair is, shall we say, thinned out, but they are definitely significantly hairier than their other rhino friends and, with their massively tufty ears, are subsequently ridiculously cute! The Sumatran rhino actually has several unusual features which are attributed to a close tie to the woolly rhino!! Super cool!! Woolly rhinos were shaggy prehistoric beasts that knocked about with mammoths (probably only temporally so) and lived in Eurasia from about 3.6 million years ago up until, potentially as recently as, 8,000 years ago. Although argued over for a while, as scientists like to do, recent molecular research demonstrates that the Sumatran rhino is a sister taxa to the extinct woolly rhino, which gives it supreme levels of street cred in anyone’s book, right? Why are we talking about fluffy rhinos? Well, the magnificent woolly rhino is not the only species that will be extinct in the near future, unless WE do something about it. There are less than 300 Sumatran rhinos left in the wild (photos not under copyright are thus rarer than snow leopards in Regents Park, hence why no photos of the Sumatran rhino are present in a blog focusing on Sumatran rhinos) but this is just an example species, there are four others, as mentioned, and all are threatened, including the tank-like Indian one horned rhino sporting its threat display in the photo above, and the lovebirds on the right here. Three of them are critically endangered. What is really a kick in the tufty ears is that rhinos are killed for the most ridiculous of reasons- a myth. 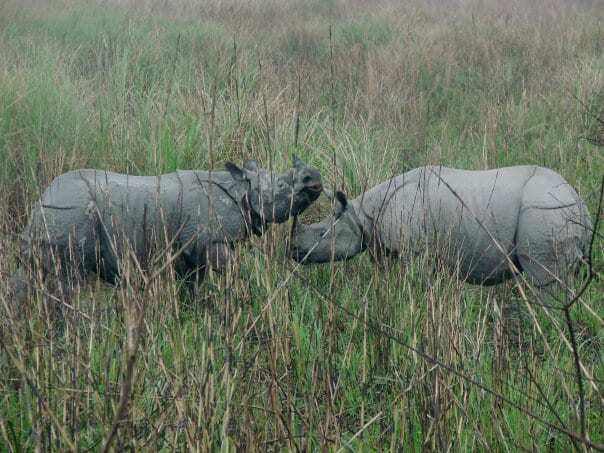 A previous blog tells you briefly of the trials and tribulations of being a rhino in the modern day and outlines the myth that is ending the lives of rhino after rhino, so I shan’t repeat it here. Suffice to say, it is a sad, cruel, frustrating story that starts in human ignorance and ends in rhino slaughter. But don’t give up hope my friends! No no, that would be silly. For the populations of white rhino were in a dire state not so long ago and by mega conservation action and a lot of dedicated folk doing their thing by the power of the donated cashflow (did you think I was going to say Grayskull? ), the white rhino bounced back! It isn’t out of the woods yet as illegal poaching, as with all five species, is still a huge threat. But, it shows what we can do when we put our heads together people. So, what do you think? Do you want to be responsible for saving a species? Yes? Then go and do it my friend! ‘Save the rhino international‘ and ‘Saving rhinos‘ are two great websites full of information that will get you pointed down the right rhino track and World Rhino Day is the perfect excuse to get started.